Duke University used a 13-0 run over the course of three quarters en route to a convincing 17-6 win over Colgate in front of 10,770 fans the NCAA Men's Lacrosse quarterfinals at PPL Park. Senior Robert Rotanz had six points and CJ Costabile picked up 15 ground balls to lead the third-seeded Blue Devils to the NCAA semifinals for the eighth time overall and sixth consecutive. Christian Walsh had three goals, Josh Dionne had a goal and a career-best three assists and Justin Turri had a goal and three assists. Overall, seven Blue Devils had three-plus points in the game. Duke, which improves to 15-4 overall, will battle ACC foe Maryland in the NCAA semifinals in Foxborough, Mass., on May 26 on ESPN2. The winner advances to the championship game on May 28. The Blue Devils are 1-1 against the Terps in 2012.
Colgate (14-4) and Duke traded goals in the opening nine minutes before the Raiders netted consecutive scores to take a 4-2 lead with 3:58 to play in the first quarter. The Blue Devils, behind JustinTurri and Rotanz, battled to tie the game 4-4 after 15 minutes and jumpstarted Duke's monster 13-0 run that spanned over the court of three quarters and 26:14. Senior Drew Snider scored three goals to send the Maryland men's lacrosse team to the Final Four for the second straight season with an 11-5 victory over No. 2 seed Johns Hopkins Saturday afternoon at Navy-Marine Corps Memorial Stadium. The Terps (11-5) will play the winner of the No. 3 seed Duke/Colgate game on Sat., May 26 at Gillette Stadium in Foxborough, Mass. The Blue Devils and Raiders are set to play on Sunday at 2:30 p.m. at PPL Park in Philadelphia. The Blue Jays finish their season with a 12-4 record. The Blue Jays started off the scoring at the 9:13 mark on an unassisted goal by Mark Goodrich, but that would be it for Hopkins in the first quarter. Maryland got on the board less than two minutes later with a goal from junior John Haus. He dodged down the right wing and turned back to fire a shot that beat JHU goalie Pierce Bassett stick-side-high to even things up at 1-1 with 7:46 remaining in the first quarter. Steele Stanwick tallied seven points, but it wasn't enough as the No. 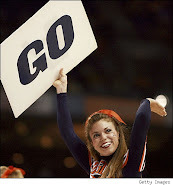 5 seeded Virginia Cavaliers (12-4) were eliminated from the NCAA Tournament by the No. 4 seeded Notre Dame Fighting Irish (13-2) on Sunday, 12-10, inside PPL Park. It is the first time UVa has lost in the NCAA Quarterfinal round since 1998 and the Cavaliers fail to make the semifinal round for the first time since the 2007 season. Stanwick concludes his illustrious career with 269 career points, tying him with Hartford's Brian LaMastro (1999-02) for No. 18 all-time in NCAA Division I history. The seven points also give Stanwick 57 for his career in the NCAA Tournament, breaking the UVa record of 52 held by Tim Whiteley. 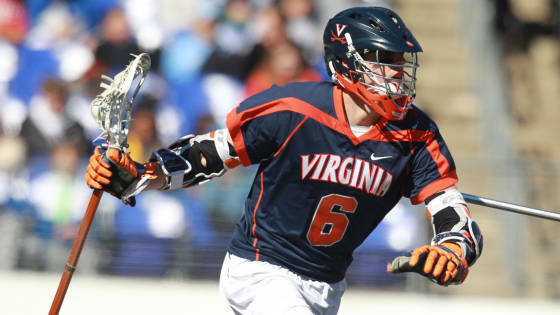 With his five assists, Stanwick finished the season with 51, becoming only the second Cavalier reach the 50-assist plateau in a season. Jay Connor had 58 during UVa's 1972 NCAA title season. Stanwick also finishes the season with 80 points, registering No. 2 all-time at UVa for a season, just behind Doug Knight's 86 in the 1996 season.